This is Virginia Bell. She is not only a gifted astrologer but a lovely friend and mentor whom I trust implicitly. Once a year, I consult her professionally and, with big-picture perspective and kind wisdom, she helps chart a path that aligns me with my calling and the lessons I must court given the astrological aspects coming into the play. 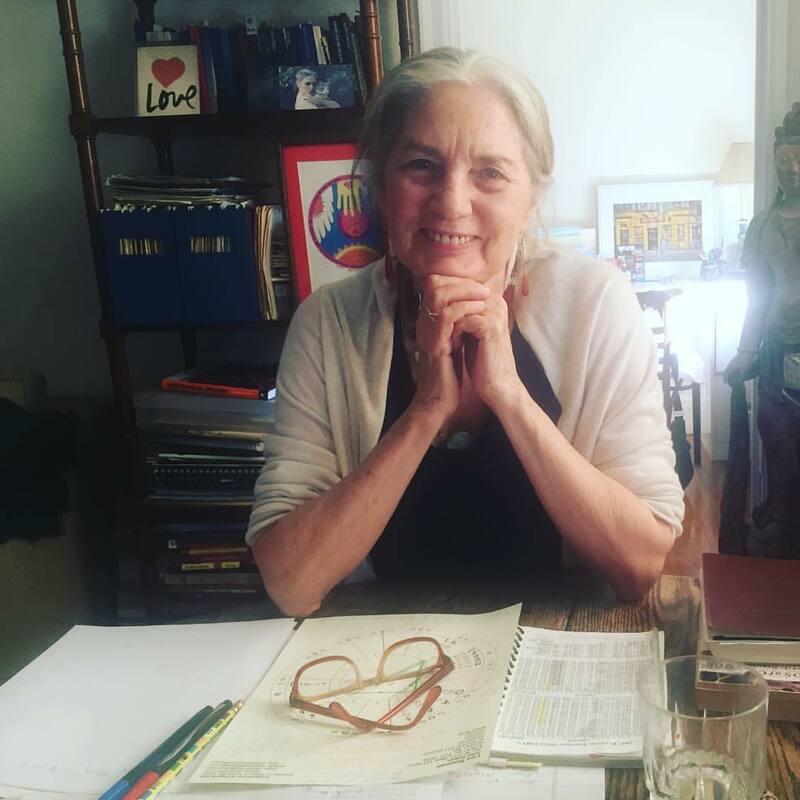 She cites such wide-ranging sages as Jane Austen, Dr. Martin Luther King Jr, Marianne Williamson, Rumi, and Jung, and connects my chart to those of our country and world, which I love since I ardently believe no human trajectory exists in a vacuum. Every visit she offers me a guiding catchphrase and question to consider. This year’s catchphrase: “Creative chaos.” The question: “Where am I thinking too small?” Gosh, I just love her.